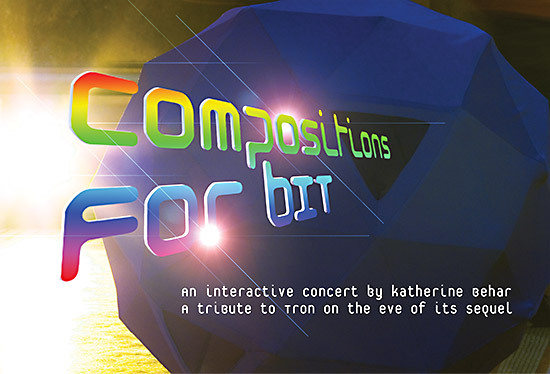 I'm very happy to announce that my latest project, "Compostions for Bit," will premiere at Judson Church on December 16th and 17th. Like millions of fans, I have been counting down the days until the release of TR2N: Legacy. I will be bidding farewell to the original Tron, Disney's techno-nostalgic cult classic, on the final day before its sequel hits the theaters. This interactive art concert brings together giant computer "bits," lasers, video mixes, sound scores, and other relics of arcade culture, promising to transport the audience back in time to the golden age of Tron. The project features original sound scores by composers Suzanne Thorpe, Silvia Ruzanka, and Shelley Burgon which will be performed live by larger than life sculptures of the character Bit from Tron. We are very pleased to report that Disorientalism has a new website. A huge shout out to Cliff Barrett for his WordPress expertise! I am very excited about two panels that I have organized for the upcoming annual conference of SLSA (The Society for Literature, Science, and the Arts). The theme is Object-Oriented Feminism (OOF). We have an incredible line-up of speakers and there is sure to be a phenomenal discussion! Silvia Ruzanka, Ben Chang, and I will be presenting at "Avatars and Humans: Representing Users in Digital Games," a preconference for ECREA 2010 in Hamburg. Our paper, "Avatar Impotence: On 'User Will,' 'Avatar Agency,' and 'System Control' in Second Life," discusses the second phase of Willy-Nilly, our project now in development in Second Life. Disorientalism is happy to be participating in "Dis-Robed," curated by Kathleen Smith and Ava Rawski at The Wassaic Project Summer Festival. Our new work, Guns N' Gals, includes photographs and a performance on Sunday, August 15th. 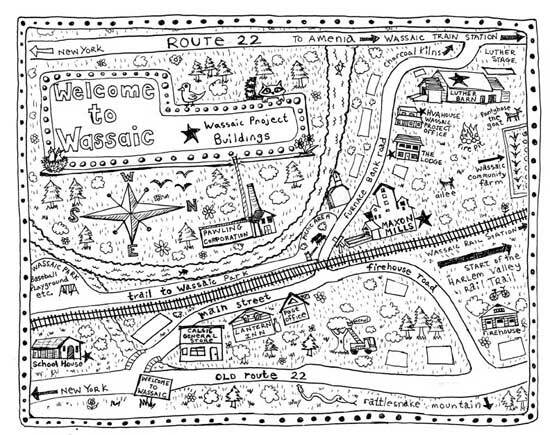 Come visit us in the countryside where we will be hard at work in the Wassaic Project's old grain elevator. "Losing Yourself in the 21st Century," a group show curated by Jillian Hernandez, Cathy Byrd, and Susan Richmond, has concluded its showing at Georgia State University Welch School of Art & Design Gallery and will now be traveling to Maryland Art Place. I will be contributing my screensaver, Pipecleaner. Losing Yourself in the 21st Century is premised on the notion that contemporary media, information systems and consumer culture foster flexible and diverse notions of self and community while simultaneously, and increasingly, regulating new spheres of personal life and conduct. By producing spaces in which individualism and personal choices are simultaneously espoused and curtailed, this network of cultural discourse blurs traditional distinctions between private and public, self-empowerment and self-surveillance, consumerism and activism. Our exhibition will explore this phenomenon through the perspective of emerging women artists. Contemporary perceptions of identity are shaped not only by mass media and consumer culture but as well by feminist discourse and women's social and economic gains. How, we ask, do emerging artists perceive this complex discursive terrain? How, in turn, do they negotiate it? How have their diverse experiences and backgrounds equipped them to engage in questions of identity and self-expression in the new millennium? What currency, if any, do feminist politics have for them in our so-called postfeminist culture? Download the show's announcement postcard. Silvia Ruzanka, Ben Chang, and I will be presenting at this year's SPIE conference in San Jose. Our paper, "Ambient Clumsiness in Virtual Environments," talks about our new Second Life project, now in development, Willy-Nilly. Silvia and I will be speaking as part of a theme devoted to virtual worlds, "The Engineering Reality of Virtual Reality."